These days, nothing is legally binding unless it is written in ink and signed…or is it? Florida recognizes both written and oral contracts, something Florida Power & Light, Co. (FPL), a major energy company, learned the hard way last year. According to court reports, a realtor met a representative of FPL at a parents’ weekend function at their respective children’s university. Upon meeting, they discussed business or, more importantly, the availability of a tract of land. The two agreed that if the company did indeed purchase the land, the commission would go to the realtor. The two shook on it. However, despite the handshake, the energy giant did end up buying the land but it did not honor its end of the agreement and ensure that the commission went to the realtor. In turn, the realtor sued for breach of contract and won. Though there are many instances in which only a written contract will suffice in the state of Florida, there are a few in which verbal contracts and handshakes are just as binding. The situation between Florida Power & Light, Co. and this realtor serves as a prime example of one of them. 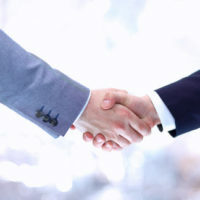 Under Florida law, contracts are valid if there is an offer and acceptance of that offer in exchange for consideration, which includes handshake agreements. Moreover, in order for a contract to be valid, at least one party must follow through with the terms of the agreement. Of course, in many breach or oral contract cases, it is difficult for the plaintiff to prove that the defendant agreed to the terms at all. Fortunately, in the realtor’s case, proof was easy to come by. This realtor and the FPL representative made the agreement in a very public setting in a very verbal manner. In fact, the agreement was so publicized that several party goers were able to attest to the fact that the FPL rep did, in fact, promise the realtor commission, and that the two shook on it. Those party goers were deposed and asked to testify. In addition to several eyewitness testimonies, the plaintiff also had phone and email records on his side. The records showed that the plaintiff tried to contact the FPL representative several times over the course of the year regarding the matter but that the FPL rep ignored those attempts. Those records proved to be very compelling evidence in favor of the plaintiff’s case, and evidence with which the jury could sympathize. With much of the evidence in favor of the realtor, the jury sided with him and ordered FPL to pay him his due commission plus damages, which amounted to $1.5 million. In most situations, oral contracts are made in private, making them difficult, if not impossible to prove. However, just because an agreement was made in private does not mean that participating parties should not be held to them. If you entered an oral contract with someone and sealed it with a handshake, and if that person reneged on his or her end of the bargain, you have a long, uphill battle ahead of you. However, with the right Fort Lauderdale business litigation lawyer on your side, you can fight for and obtain justice. Contact the office of Edward J. Jennings, P.A., today to schedule your case evaluation.